These hand-painted wooden dreidels will make a terrific Chanukah gift. Measures 3 inches x 1 1/4 inches. 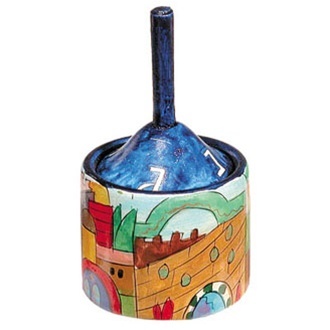 The dreidel rests snuggly atop its cylindrical matching box. Designs will differ for each custom piece. Price is for one piece.